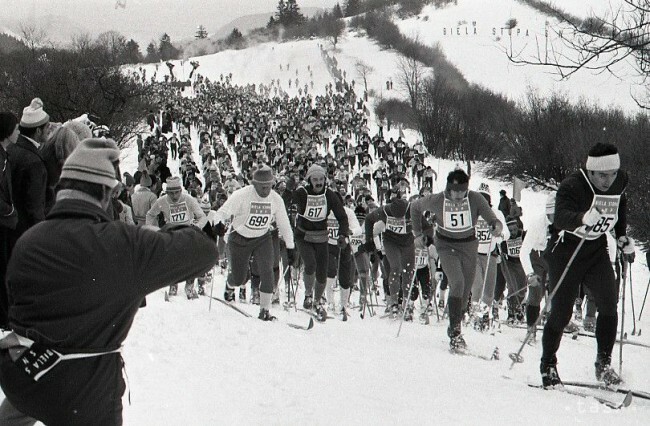 Biela stopa (formerly called Biela Stopa of SNP – The White Trail of Slovak National Uprising) is the oldest regularly organized skiing event in Slovakia. In its beginnings the event also included the run of participants of Slovak National Uprising. Biela Stopa Kremnica is a member of the EUROLOPPET – European Union of Cross-country Skiing Marathons. 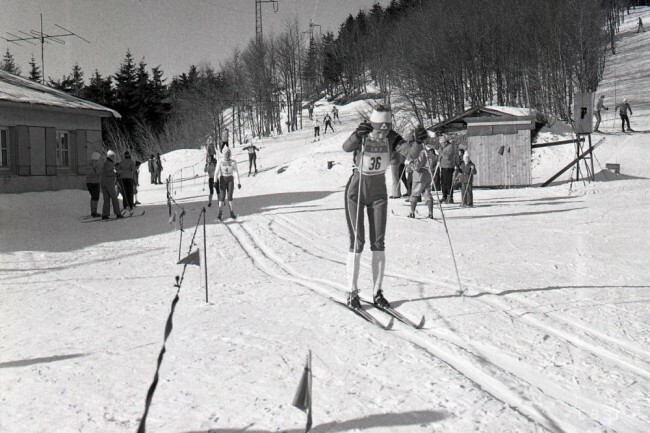 The idea of the Biela Stopa ski marathon came from Ľudovít Fusko, a Slovak cross-country skiing representative, who was inspired by his personal experience at Vasaloppet in Sweden. Fusko decided to organize a ski marathon for all – for professional runners as well as for regular skiers. To organize such a mass marathon skiing race it was necessary to have personal experience of a successful skier, support from other volunteers and also at that time it was crucial to have an agreement with the members of the ruling political party. The new event was named The White Trail of Slovak National Uprising – Biela Stopa SNP. In 1973, preparations and organization of this new event began. The trail of the ski marathon started in Krahule and continued through Skalka to Banska Bystrica. The first year the finish had to be transferred from Banská Bystrica to Laskomerske due to lack of snow. On February 17, 1974, 421 men started the 51km long trail in Krahule. Start number 1 was assigned to the famous champion of sport Rudolf Čillík. The winner of the main category was Ján Michalko. The number of participants was rising continually every year since the beginning. In 1985 there were 7583 participants registered together in all categories, which is the record of the event. The organization of the race was very difficult and required a lot of enthusiasm and effort from the volunteers who had to struggle with the lack of necessary technical equipment and the trail had to be changed many times due to the lack of snow and sometimes it was even necessary to cancel the race. An important milestone in the history of Biela stopa SNP was year 1989. Since then the event was organized as a FIS race. In 1994 Biela stopa became a part of Euroloppet and in the following year 1995 when the 22nd year was held the marathon was organized for the first time as Euroloppet race. Unfortunately, after 1989, the number of participants started to fall sharply and stopped at 400-500. Biela stopa SNP struggled to survive and it was necessary to make some changes in organization structure and committee. The name was also changed to Biela Biela Stopa Kremnica and Slovak National Uprising (SNP) was omitted due to political changes. It was decided that the trail would lead only in the area of Skalka Mountain and nearby locations in higher altitudes due to lack of snow. Since then the number of participants has been gradually increasing up to 800-1200. 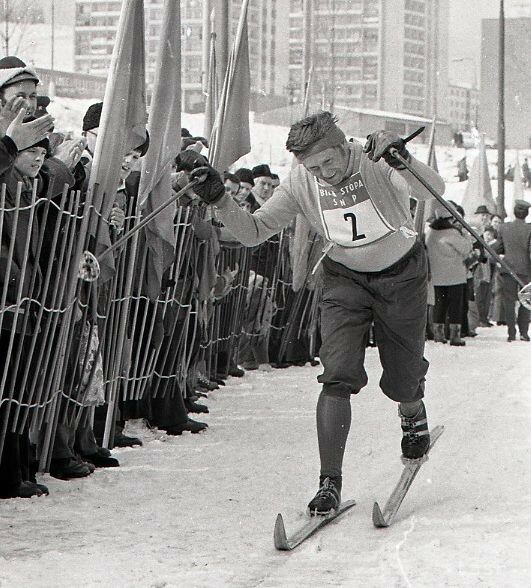 In 1974 – the first year of ski marathon Biela Stopa SNP. 473 skiers took part. The start number 1 was assigned to Rudolf Čillík from Kremnica. In 1975 – the 2nd year. Due to lack of snow it was necessary to transport 1800m3 of snow to the start at Krahule village. 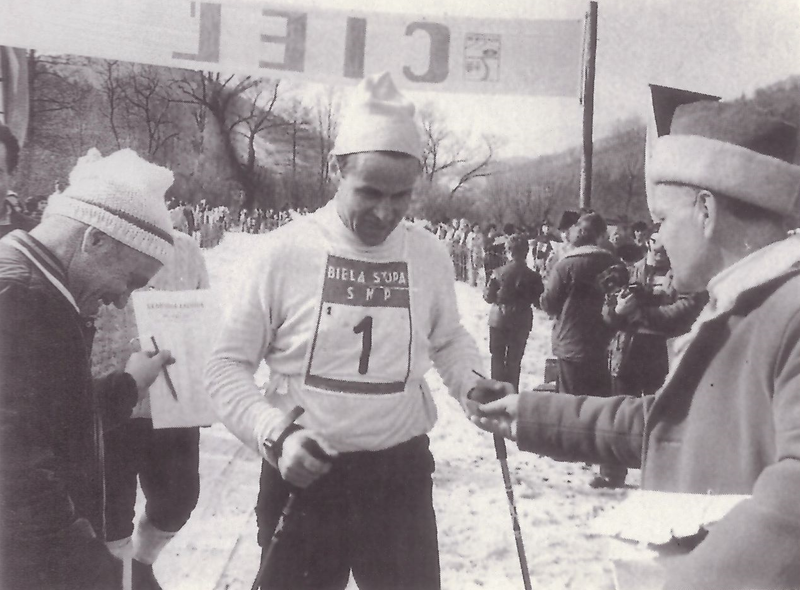 In 1976 – the 3rd year – the finish in Banská Bystrica in Fončorda for the first time. In 1977 – the 4th year – 2066 participants, including cadets starting for the first time. In 1978 – the 5th year – Tibor Szunyog from Salgotarian, Hungary was the first foreign participant, children compete for the first time too. In 1985 – the 12th year – record of the event in the number of registered participants – 7583 people. 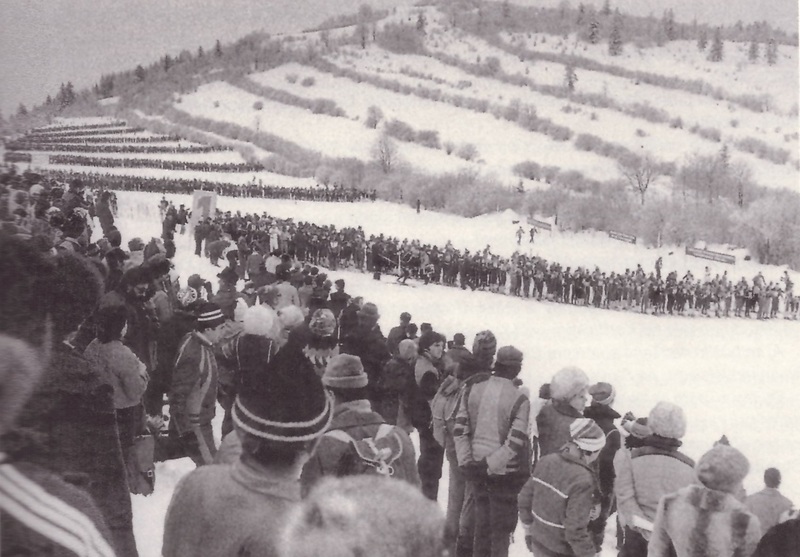 In 1989 – the 16th year – Biela Stopa SNP was held under the supervision of the International Olympic Committee as the first event in Slovakia, the event was included in the list of FIS races, for the last time the number of participants was over 5000. In 1990 – the 17th year – for the first time organized under the supervision of FIS. In 1995 – the 22nd year – the race was organized as a part of Euroloppet. Since 2005 – Both the start and finish of the race were moved to Skalka near Kremnica. Since 2008 – there is a new sports center SKALKA RELAX CENTRUM where there is a complete service for skiers and organizers. In 2011 – the Biela Stopa together with French race “La Transjurassienne” was part of the Ski Marathon European Championship. Due to lack of snow – in 1990 and 2014 the race was cancelled and in 2016 only 5 km of trail at the Rudolf Cillik stadium was possible to use.